Creation of natural buffer zones of 6 to 12 metre grass strips, to be managed by local farmers, preventing harmful fertilisers and pesticides from poluting the river water, improving water quality and protecting the biodiversity of the river basin. The main objectives were: to encourage local farmers to create brook banks along the watercourse, thereby preventing water pollution and protecting river water quality; to stimulate cooperation amongst farmers & the local authorities in managing and maintaining the brook banks in a sustainable way; and to promote the implementation of similar projects in other municipalities. 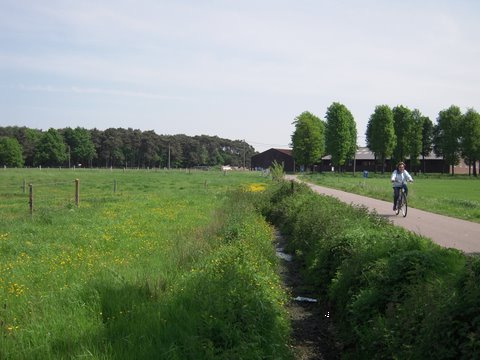 Activities included: (i) Creation of buffer zones (6 to 12 metre wide-strip grass, free of manuring and pesticides) between fields or arable land and watercourses (ii) Encouraging farmers to sign a 'Brook Bank Management Agreement' with local Municipalities; (iii) Assistance to farmers, both to complete the administrative requirements and to manage and maintain the brook banks; (iv) Promotion of the scheme within the region and particularly to other Municipalities. The buffer zones created by the project offer benefits for water quality and biodiversity, allowing for an easier management of the brook banks. The management agreements were concluded for a total of 11.5 km, nearly doubling the extension of the existing buffer zones. In addition the project stimulated cooperation between farmers and local authorities and encouraged other farmers to join the scheme, contributing at the same time to improving the image of agriculture and of the region. The employment of a project manager, who acted as coordinator at local level, allowed many problems to be solved, particularly at the start of the project. The project manager also informed many farmers directly about the project, encouraged them to sign management agreements and helped them resolve conflicts and administrative problems that would otherwise have prevented them from participating in the project.